Home Cookin'....Without The Cookin' ! Made from scratch and slow cooked with all white meat chicken. 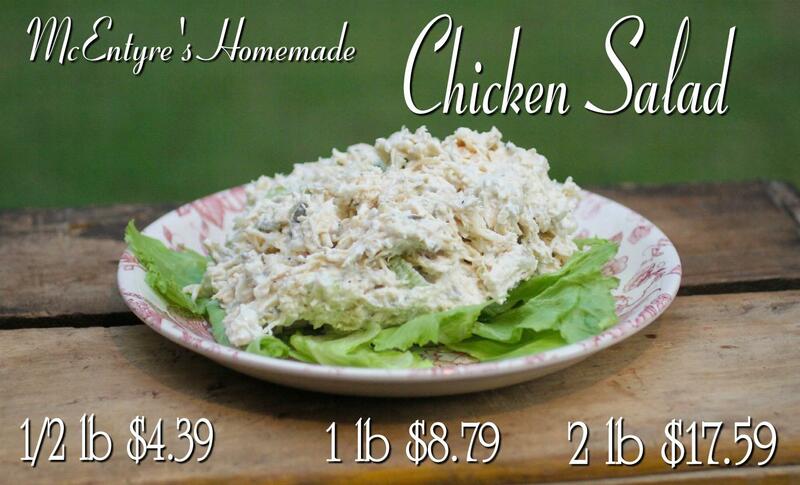 Each quart will serve 2-3 people, fully cooked, warm on the stove or in the microwave. 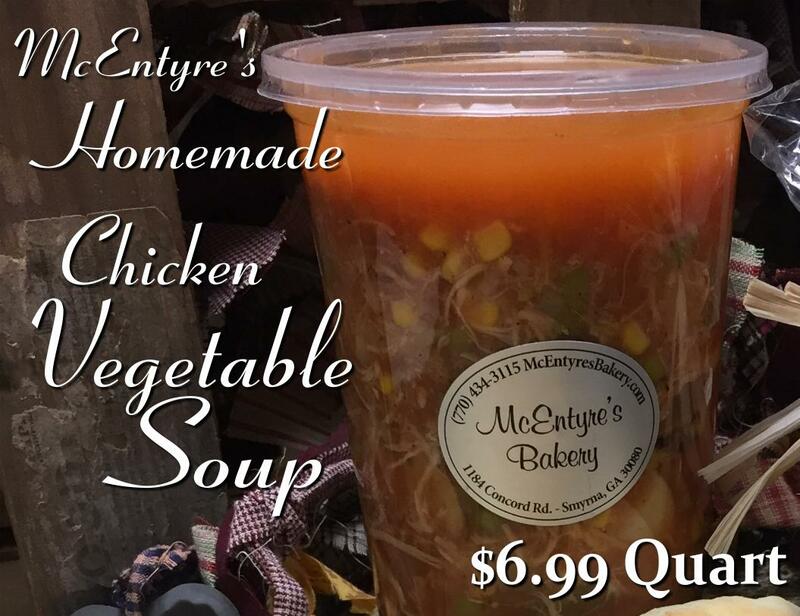 Hand rolled pie crust and scratch made filling (made with all white meat slow cooked chicken breast) make these a favorite among McEntyre's regular customers. 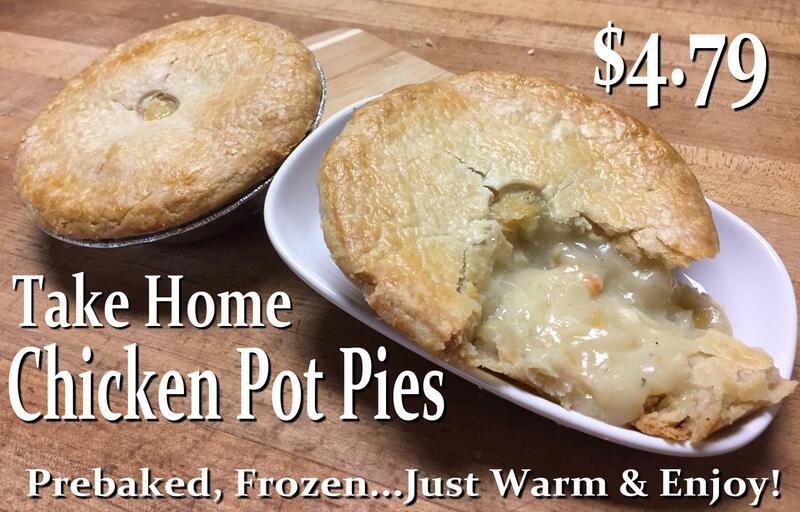 Each pie is 5" in diameter, serves 1 person (1 pie is a LARGE serving, can easily be split for children), and can be warmed in the oven or microwave. For conventional oven: remove from box, leave pie in the pie tin and place on baking sheet on middle shelf, bake for approx 30-45 minutes or until center bubbles. For microwave: remove from box and remove pie from metal pie tin, place pie on microwave safe plate, microwave 2-3 minutes (time will vary according to strengh of microwave). Made with slow cooked, all white meat chicken breast, celery, dill relish, mayo, salt, and pepper. Makes great sandwiches, serve with crackers, or eat it by itself.